Celebrating the 70th anniversary of Alta Ski Resort, this new KUED documentary transports viewers to a mountain town with a history richer than its silver-mining past. This colorful glide down memory's slopes features interviews with those who remember the first chairlift in Utah and the personalities who developed early powder-skiing techniques. 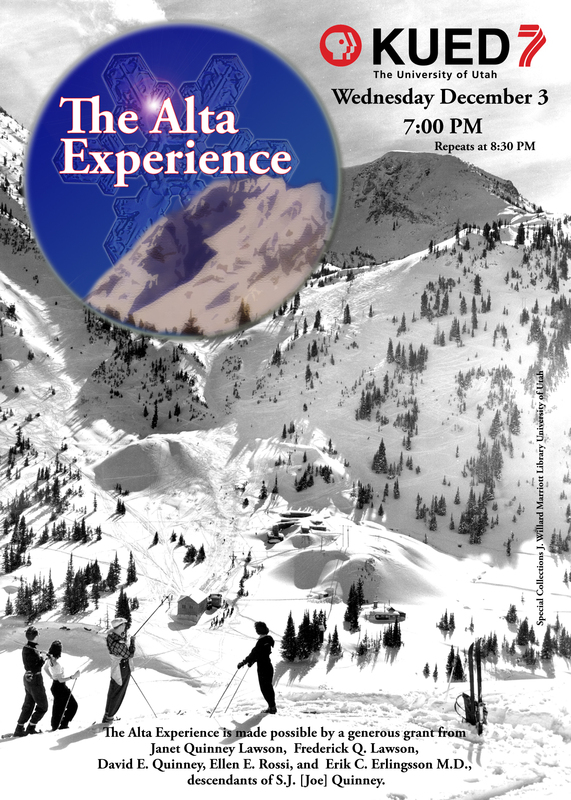 Using archival footage, early photographs, and contemporary aerial footage, the program chronicles the generations who have carved fresh lines in Alta's famous untracked snow. Produced by Joe Prokop.